Aiden Markram made his Test debut against Bangladesh in September, 2017. Test cricket, will always be the classic form of game, as it test your abilities, character, mental toughness and temperament. It is not always easy to make an immediate impact but some have managed to do so. Here, we are looking back at the best Test debuts of 2017. There have been few memorable debuts in 2017, read on to see who made out on our list. Here is a look at the top 5 Test debut in 2017. Aiden Markram made a fluent 97 on his Test debut played against Bangladesh at Potchefstroom. An unfortunate run-out saw him missing out on a century by just three runs. His opening partner, Dean Elgar, who was on 99 then, nudged the ball for a quick single before changing his mind and sending Markram back, the mix up led to the debutant being stranded at the non-striker’s end. South Africa went on to win the match by 333 runs, making it Bangladesh's third largest defeat in the Test cricket history. In 2014, Aiden Markram became the first South African captain to win U-19 World cup. He came in to the national side after the Proteas struggled to find an opening partner for Dean Elgar. 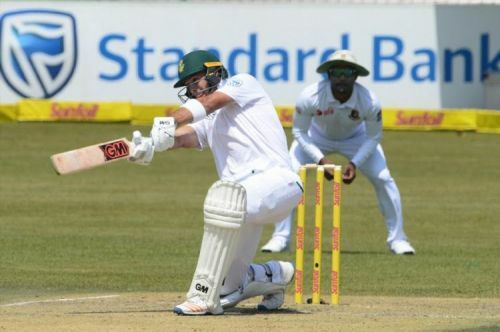 South Africans had previously tried their luck with openers like Stephen Cook, Theunis de Bruyn and Heino Kuhn.